Lian-Li's budget brand Lancool shows off the PC-K65, a new mid-tower with a SECC steel chassis and an aluminium front panel. 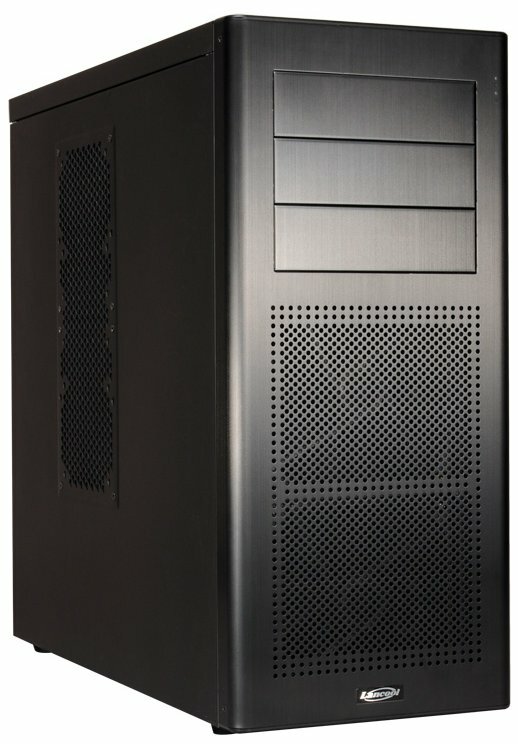 The case weighs 9.2kg and measures 210mm x 472mm x 505mm (W x H x D), it supports three 5.25" devices, six 3.5" HDDs, four 2.5" HDD/SSDs, eight expansion cards, ATX/Micro-ATX motherboards, two 140mm front fans, one 120mm rear fan, and USB 3.0. Inside the case is room for VGA cards up to 415mm long, a PSU of up to 285mm long and a CPU cooler with a max height of 160mm. The MSRP is $99 (99EUR, excl. VAT). 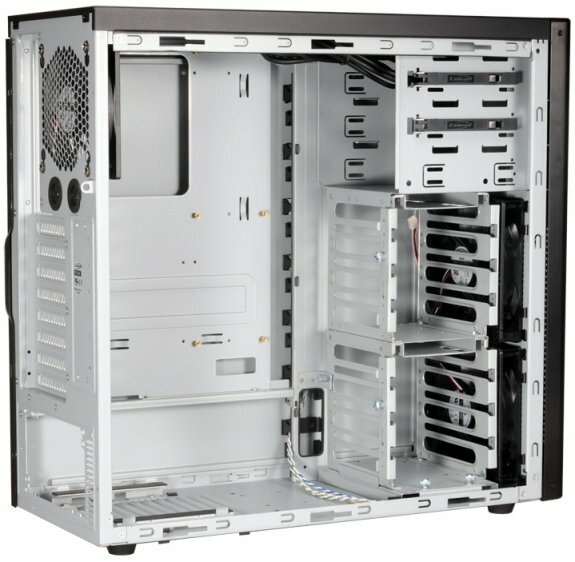 Lancool, a manufacturer of mid- to high-end computer chassis, announces their new mid-tower PC chassis - PC-K65 - designed for ATX, Micro-ATX and Mini-ITX motherboards. Equipped with 2 modular HDD racks, the Lancool PC-K65 supports up to six 3.5-inch HDDs and four 2.5-inch HDDs or SSDs, which can be set to face forward or backward. For those who prefer longer VGA cards the top cage module can be removed, giving users a full 415mm of interior space. The racks' tool-less design allows users to easily install their hard drives with the included thumbscrews. Vibrations are kept to a minimum with the rubber suspension. The two front 140mm fans equipped with washable air filters and the rear 120mm fan keep hardware at optimum operating temperatures. For more cooling options the side panel has space for or two additional 140mm or 120mm fans. Adding even more cooling versatility, the PC-K65 has two holes for water tubes for users wanting to install a liquid cooling system. Standard 5.25” optical drives are tool-lessly mounted on the PC-K65. The expertly designed cable clamp system keep wires neat and secured, allowing cool air to flow unobstructed throughout the interior. With the strong and durable SECC steel body and easy-to-remove detachable aluminum front panel, the Lancool PC-K65 adds elegant aesthetics to its versatility and tool-less features making it an ideal choice for any computing environment.